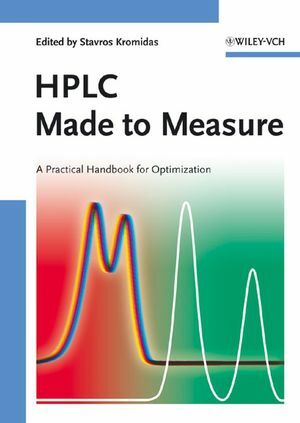 The only topical HPLC book to focus on optimization, this volume addresses the needs of HPLC users who wish to constantly improve their methods, in particular in terms of throughput, accuracy and cost-effectiveness. This handbook features contributions from such bestselling authors as John W. Dolan, Michael McBrien, Veronika R. Meyer, Uwe D. Neue, Lloyd R. Snyder, and Klaus K. Unger, as well as from scientists working for major companies, including Agilent, AstraZeneca, Merck, Schering, Tosoh Biosep, VWR, and Waters. It covers essential aspects of optimization in general, optimization in different LC-modi, hyphenated techniques and computer-aided optimization. The whole is rounded off with a section of user reports. Following his PhD thesis in 1983, Stavros Kromidas worked as a sales manager for Waters Chromatography . From 1989 to 2001 he was Managing Director of Novia GmbH, a consultancy company for analytical chemistry, and he has been an independent consultant since then. He has been working in the field of HPLC since 1978 and has given lectures and training courses since 1984. He is the author and co-author of numerous articles and several successful books.